Mary Ellen Young knows what it is like to work within a group yet have a strong sense of individuality. She comes from a family of 12, a family well-known in the medical profession. Surrounded by eight brothers and one sister, Mary Ellen learned early on the importance of family and the value of commitment and dedication to others. She is the only one of her siblings who did not pursue a career in medicine and instead found her voice and her calling in the field of education. Through her work in education and volunteerism, she has and continues to serve her hometown in a variety of ways. Currently the Dean of Liberal and Performing Arts at Texarkana College, Mary Ellen serves in countless capacities both on and off campus. She loved teaching from an early age and recalls a treasured gift of a chalkboard as her favorite toy. “I tried to line up my five younger brothers to play school, but they weren’t very cooperative, to say the least, so I lined up my stuffed animals and dolls and played school,” she says. Her parents, Donna and the late Dr. Mitchell Young, instilled in their children the focus of what Mary Ellen calls “Family, Faith, Education, and Scouting.” Growing up in an active Texarkana family, Mary Ellen relished in her education at both St. James Day School and Texarkana Independent School District, graduating from Texas High School in 1980. She recalls many role models in teachers throughout her formative years, and these individuals and her parents helped guide her toward pursuing her career as an educator. Mary Ellen graduated from East Texas State University -Texarkana with a Bachelor of Science degree with a major in English. While in college, she took classes at TC and ETSU, worked as a lifeguard at the Pinkerton Center, and volunteered for the American Red Cross. Everyone in her family at one time or another has taken classes at TC and takes pride in the education they received and how well our local community college serves the area. She began her teaching career in Sugar Land, Texas, in 1984 where she taught middle school English and remained in the Houston area for eight years where she spent her summers as the aquatics director at River Oaks Country Club. She returned to Texarkana and earned her Master of Education degree from ETSU-Texarkana with concentrations in English, English as a Second Language, and Reading. Upon completion of her degree, she was offered the incredible opportunity to work overseas for the Department of Defense Dependent Schools (DoDDS), serving as an ESL and Reading Specialist at Yokota High School in Fussa, Japan, for three years and later transferring to Robinson Barracks Elementary School in Stuttgart, Germany, for three years. During her six years overseas, she was able to travel extensively while helping many students learn the English language. She recalls her travels and time spent in Asia and Europe as being an exciting time. She initially wanted to return home for a bit and then resume living overseas in a different country, but when she did return to Texarkana in 2002, she was here to stay. Mary Ellen is in her sixteenth year of teaching at Texarkana College, and it was here where she found she was meant to be. “I never really felt like I was making a difference in the lives of others until I began teaching in higher education,” she explains. “I have been given the opportunity to help adult students overcome obstacles and achieve their dreams, to reach their goals and potential. I have found my passion; for teaching in the community college is more than a profession, it is a calling.” She wears many hats at TC from teaching a variety of English classes and a Learning Frameworks class, as well as serving as a faculty advisor for students, the Phi Theta Kappa International Honor Society advisor, the President’s Leadership Team, the Achieving the Dream Core Team and numerous committees. She was elected by her peers across the state to serve as the 2018-2019 President of the Texas Community College Teachers Association. She was also selected by Phi Theta Kappa International Honor Society to serve as a 2018-2019 Faculty Scholar where she will serve as a facilitator and leadership development trainer at this year’s international Honors Institute at Villanova University in Villanova, Pennsylvania. Other awards include being the recipient of the Texarkana College Endowed Chair for Teaching Excellence Award and the National Institute for Staff & Organizational Development (NISOD) Teaching and Leadership Excellence Award. 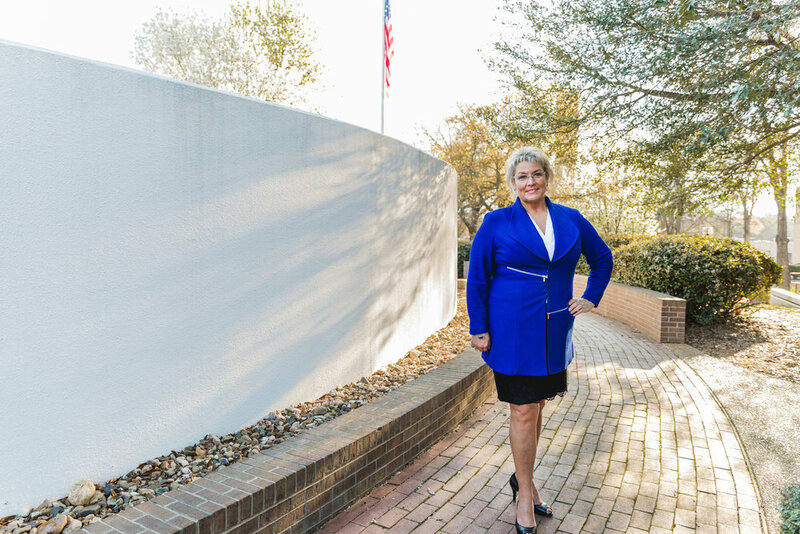 She has also served as the chair and vice-chair of the Texas Region Phi Theta Kappa Advisory Board and has been awarded state and international distinguished advisor and chapter awards. Mary Ellen earned the highest rank in Girl Scouts, First Class, now known as the Gold Award. She serves as a presenter and volunteer for Learning for Life with the Caddo Area Council of the Boy Scouts of America. She also has served the Junior League of Texarkana for many years as both an active member and past Sustainer President. She currently serves on the Board of Directors and Curriculum Committee for Leadership Texarkana and is a 2010 graduate of Leadership Texas and a 1995 graduate of Leadership Texarkana. She has been recognized as a Distinguished Alumna of Texas A&M University-Texarkana and a recipient of Four States Living Magazine’s Tribute to Women. Other past and present community involvement includes Susan G. Komen Race for the Cure®, Women for the Arts–Picasso Celebrity Artist, the Literacy Council of Bowie & Miller Counties, American Heart Association, and CHRISTUS St. Michael Health System. Opportunities, Inc. is another organization close to Mary Ellen’s heart as she worked in their marketing and public relations department while earning her master’s degree and later served on the Angel Guild. Mary Ellen counsels many TC students through her role as the Honors College Director where Presidential Scholars volunteer a minimum of 30 hours on campus and in the community. She emphasizes the importance of giving back to one’s community through a servant leader’s heart. She strives to continue learning through various education conferences and professional memberships. She is currently a doctoral student at the American College of Education in Indianapolis, Indiana, studying Higher Education Leadership and aims to complete her dissertation next year. In addition, she is a published writer having contributed to local newspapers and various magazines. She was inspired by her teaching experience overseas to publish a children’s book entitled Highland Park Kids: Chase’s Special Gift, which is dedicated to military children living around the globe. As one can see, Mary Ellen is a dynamic individual who has shared her talents with Texarkana. Still honoring her roots, she is a fiercely devoted sister, daughter, friend and teacher. No matter what she does or where she is, she cherishes family time. Since 1973, her family has owned a cabin at Camp Albert Pike on the Little Missouri River where she recalls fun memories along the river and spending time with her parents and siblings. Now she returns to the cabin for relaxation and time spent with her mother, siblings and many nieces and nephews. When asked what first comes to mind when she hears the word “family,” she replies, “Laughter, love, fun, hugs and support.” Whether it is at school, at home, or in the community, Mary Ellen strives to serve her hometown with pride and joy.